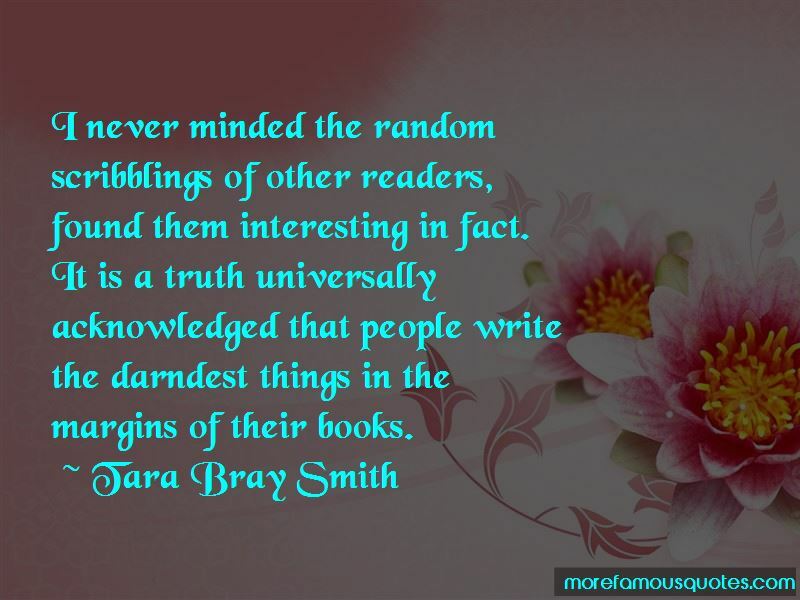 Enjoy the top 3 famous quotes, sayings and quotations by Tara Bray Smith. I never minded the random scribblings of other readers, found them interesting in fact. It is a truth universally acknowledged that people write the darndest things in the margins of their books. 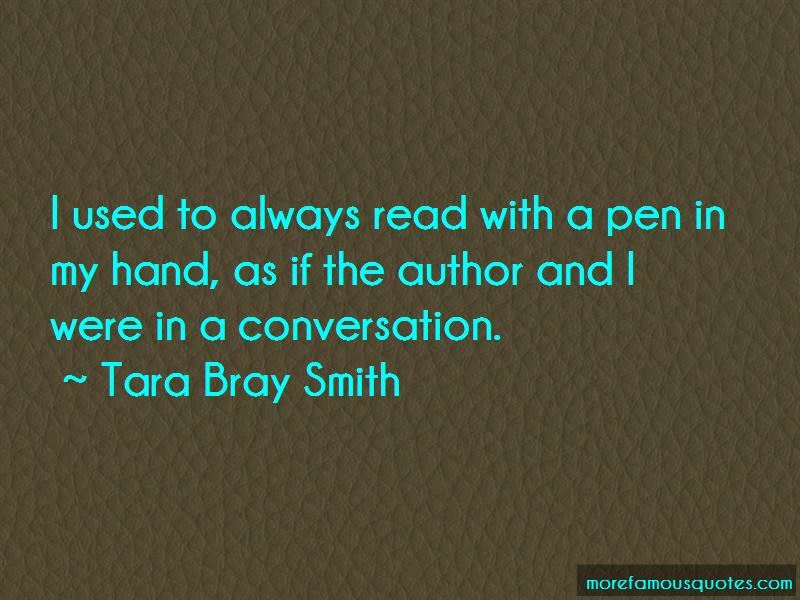 Want to see more pictures of Tara Bray Smith quotes? 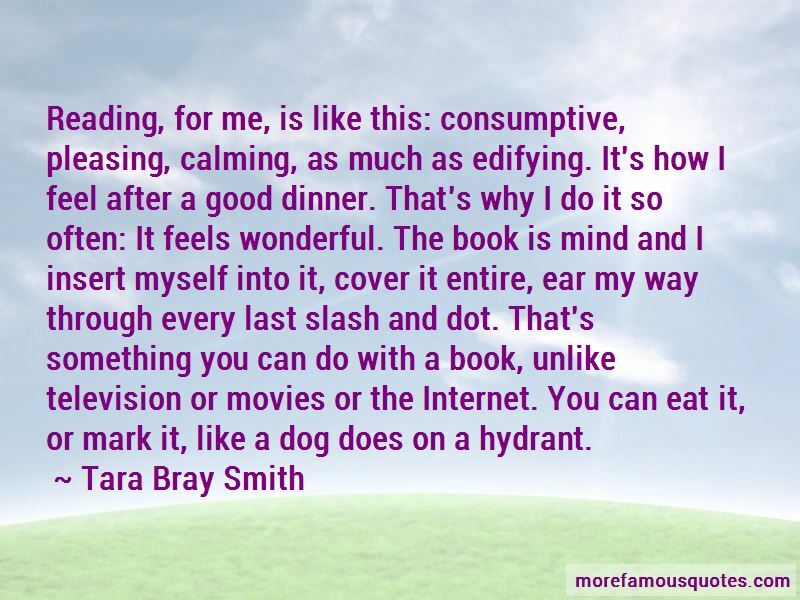 Click on image of Tara Bray Smith quotes to view full size.